We will endeavour to keep this new page updated, as we are extremely busy but would like to share the type of work we carry out. 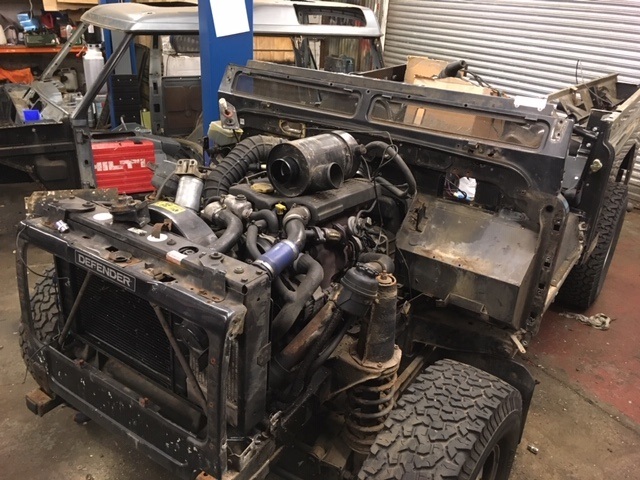 November 2018 - this is the Defender 90 refurbishment that started in August 2018 (see below) when we stripped the bulkhead off and refurbished it including galvanising. The doors were replaced with new ones that benefit from galvanised frames/skins for longevity. After the refurbishment it now looks stunning in Corris Grey Metallic with black chequer plate, black Sawtooth alloy wheels, full LED light kit, KBX front grill kit and more! 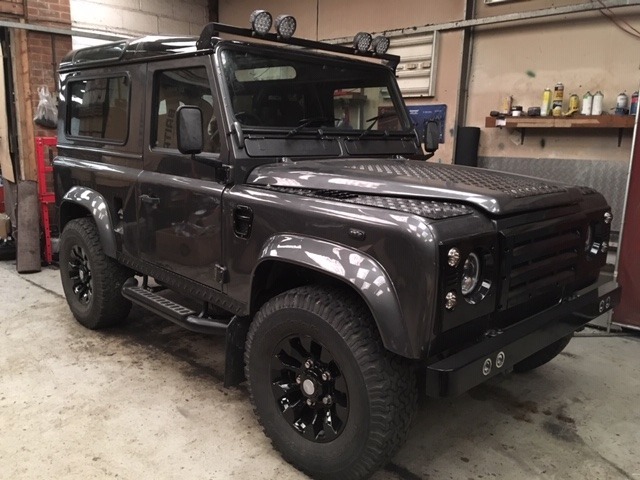 October 2018 - Defender 110 County Station Wagon has come to us for a galvanised bulkhead and galvanised doors plus some other improvements including sound proofing, audio upgrade and new roof lining. 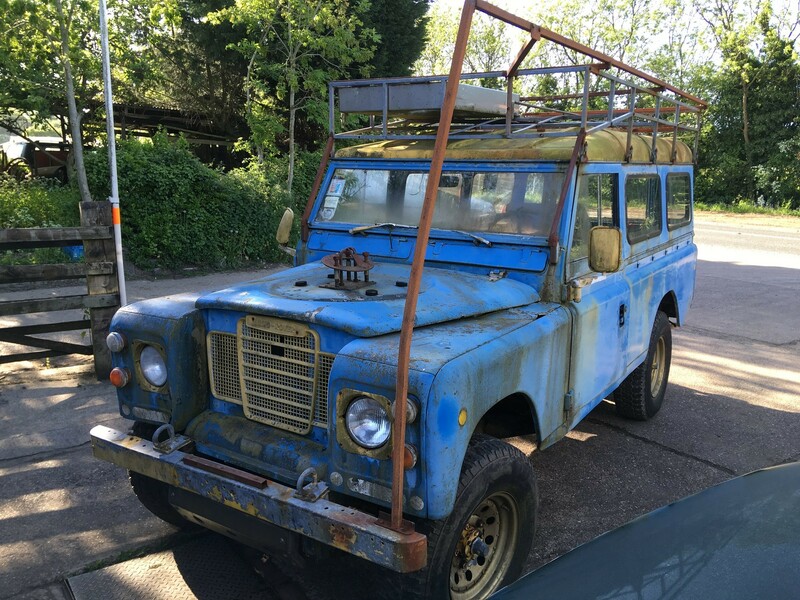 October 2018 - this Land Rover Series 1 came to us from Botswana in a poor state and is now restored ready to be shipped back to be used regularly. 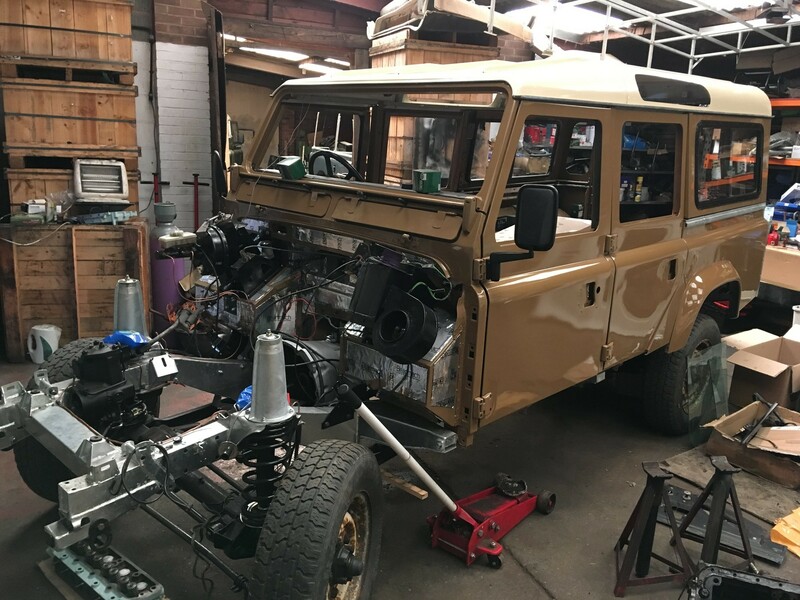 August 2018 - Land Rover Defender 90 300 Tdi County Station Wagon that we are refurbishing for the owner. A large amount of rust was found on the bulkhead so the owner has taken the wise decision to ask us to remove it so that it can be shot blasted then we can fully repair it and galvanise it before re-fitting. A full body refurbishment including new doors and body cappings is also on the 'to do' list with full respray. 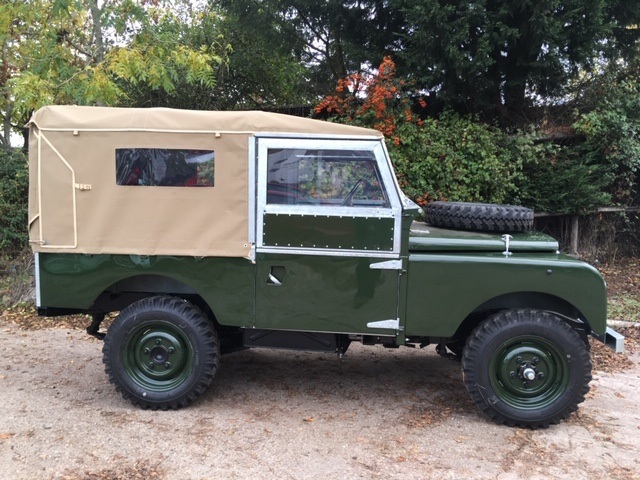 August 2018 - this Land Rover Series 2a that we are restoring for the owner now has its reconditioned engine, gearbox and axles fitted plus the refurbished galvanised bulkhead that is sprayed Bronze Green before fitting the components. 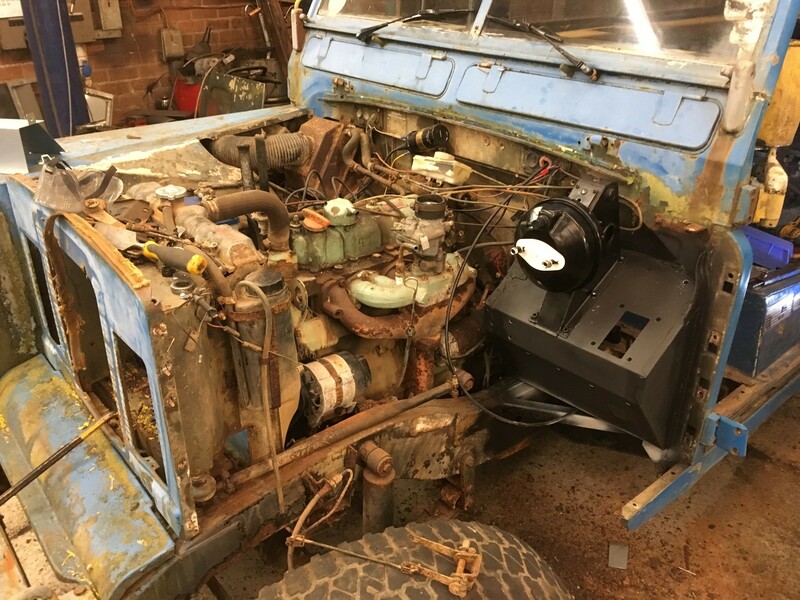 The whole Land Rover is being restored and we will have this complete in the next month or so. 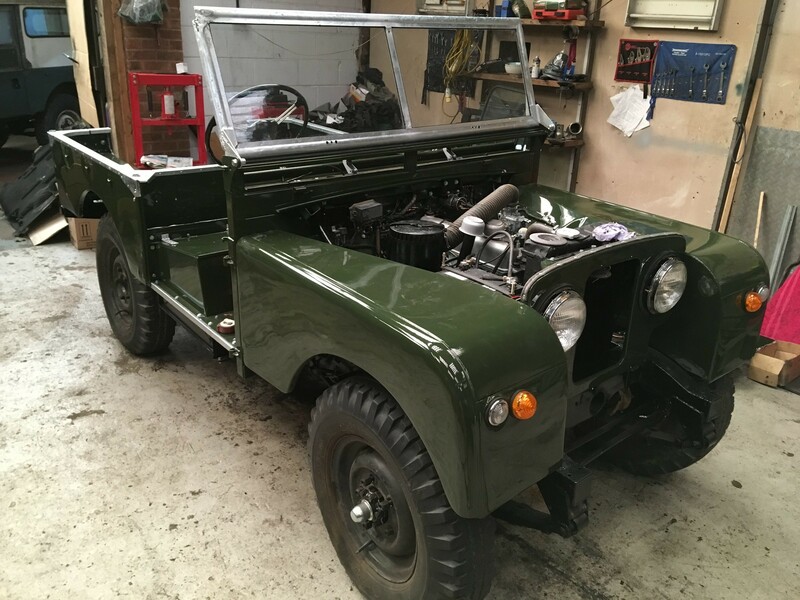 July 2018 - we have been restoring this Land Rover Series 1 for the owner over the last few months, and it is now nearing completion. Once ready it will return to it's home in Botswana. 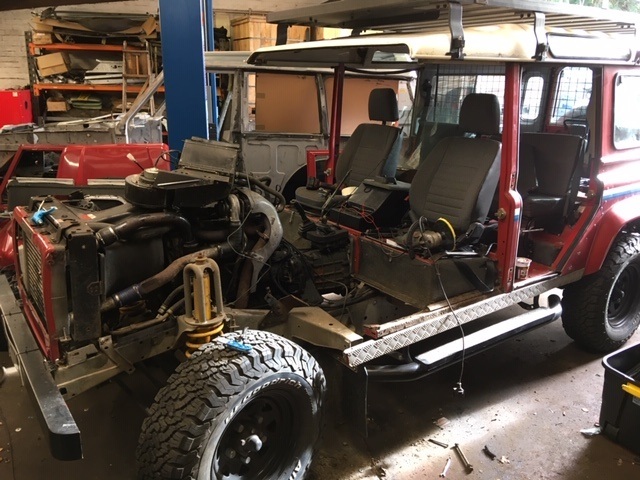 July 2018 - the early Discovery is now stripped to a rolling chassis and a bare bodyshell that will be specially blasted to reveal the full extent of the corrosion so that we can fully repair it. 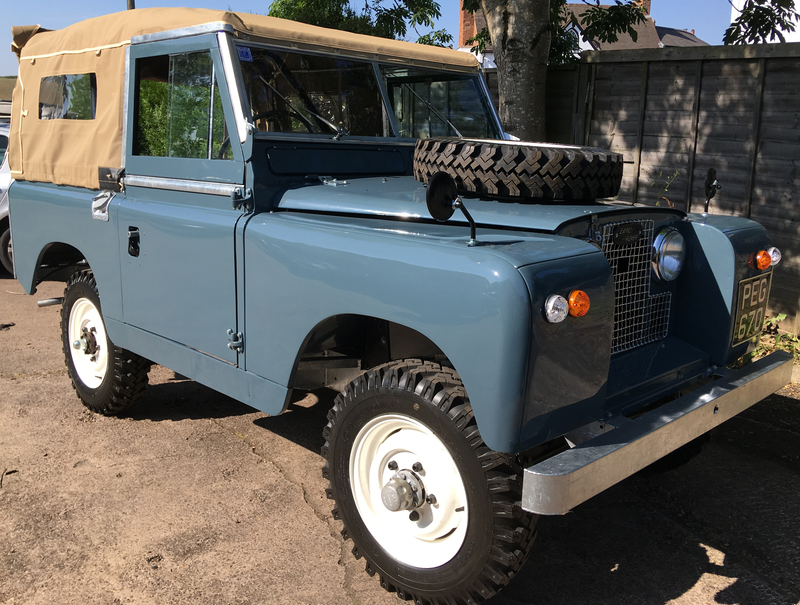 July 2018 - the 1962 Land Rover Series 2a that we restored for the owner is now ready to collect. It has had a full mechanical overhaul, new galvanised chassis, refurbished galvanised bulkhead, interior plus bodywork refurbishment including respray. June 2018 - our first major restoration on an early Discovery. The body will be removed for a full inspection, structural restoration along with a host of other work to preserve this icon. June 2018 - Update on the Series 3 from Africa, we fitted new drivers footwell (LHD!) and spotted the side of the engine block was cracked from freezing so the engine is now being removed and the owner is making decision on what he would like us to do. The reconditioned and tuned 3.5 V8 is going into the 110 that we are restoring. 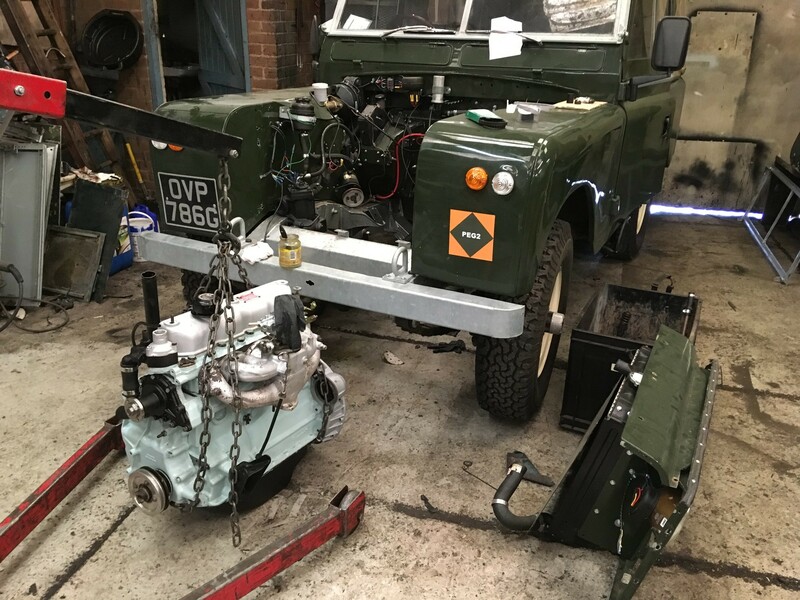 June 2018 - Reconditioned engine being fitted into this Land Rover Series 2a that we have restored. 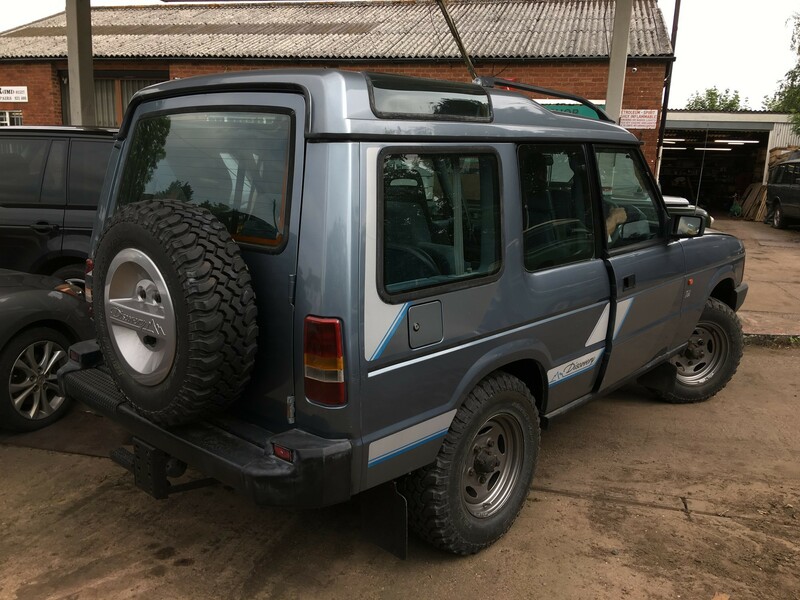 May 2018 - Below has just arrived to us via trailer is an ex-MOD Series 3 109" 2.25 petrol is a left hand drive model that has been used for many years in various African countries, there are numerous DIY modifications and it is our task to make this ready for further adventures. 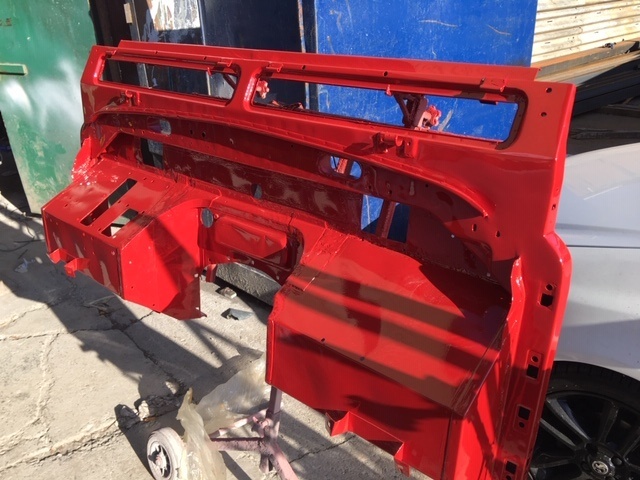 May 2018 - Below shows we are part way through the full restoration of a 1985 110 V8 County Station Wagon, we have fitted a brand new galvanised chassis, the original bulkhead we have restored, all bodywork refurbished and sprayed in Arizona Tan colour which was the period colour for the time. 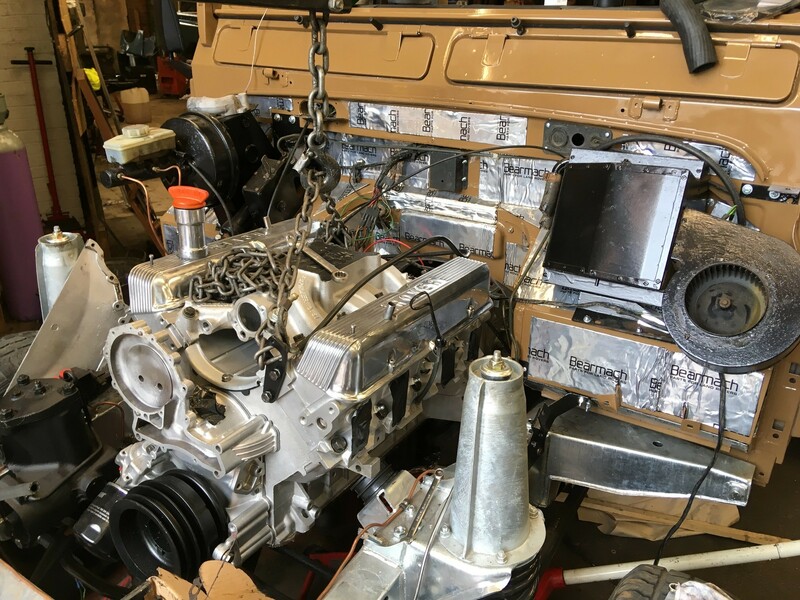 Engine has been fully reconditioned with upgrades including gas flowed head, high lift camshaft, balanced/lightened components and will be complimented with a 4 barrel carburettor conversion for improved performance. 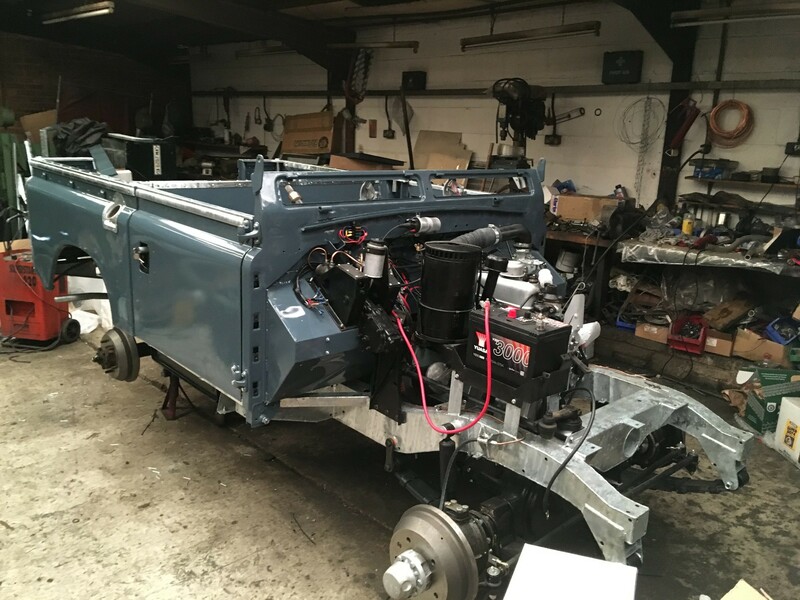 May 2018 - Below shows the restoration of a 1962 Series 2 Land Rover that has been owned by the customers family since new. At this stage it has been fitted with a new galvanised chassis, we restored and galvanised the bulkhead, engine and gearbox reconditioned, new wiring loom, new suspension/brakes/steering, the bodywork has been refurbished and resprayed in its original Marine Blue complimented with freshly galvanised cappings.